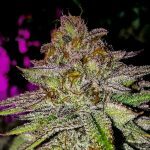 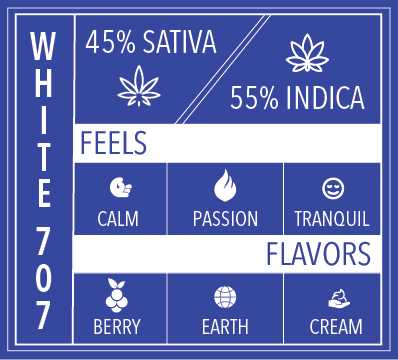 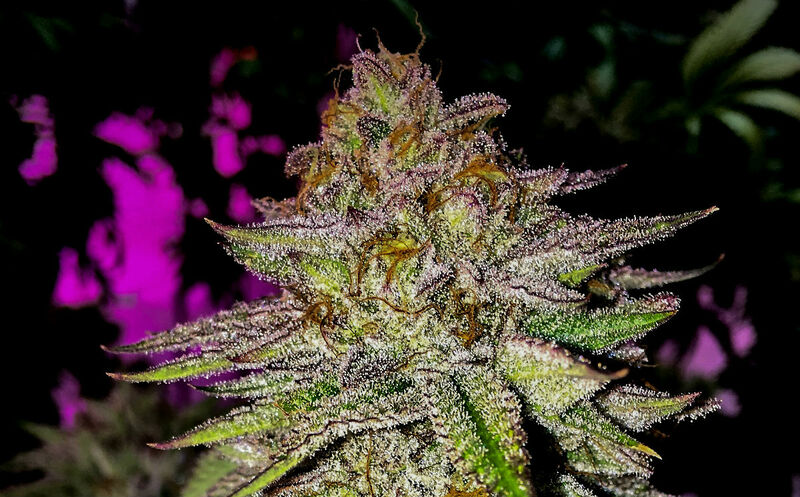 White 707 is a recently developed Strain from eXo that was originally offered as a Special Release. 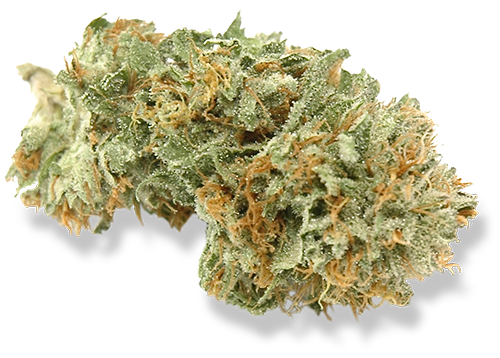 It quickly gained admiration and a loyal following so we were happy to add it to the regular lineup. 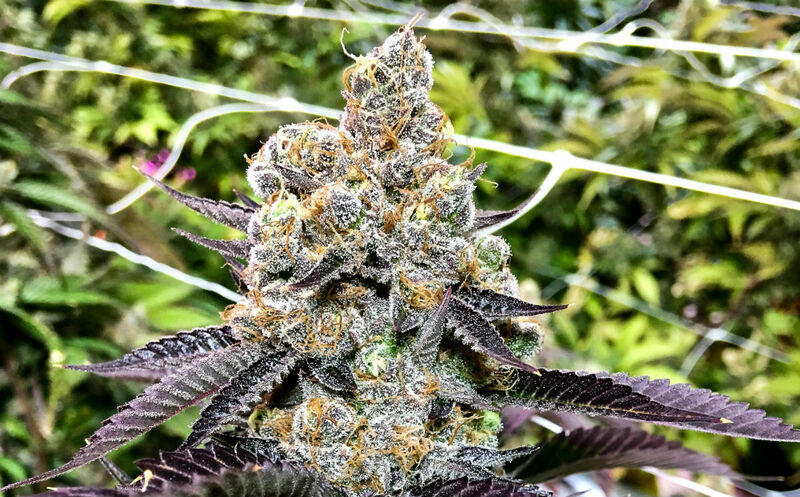 A nicely balanced hybrid, with a lineage from eXo’s White, Headband 707 and Green Crack family of genetics, resulting in a calm, passionate, full-bodied, tranquil effects, with flavors of berries, cream and a touch of earthiness lingering on the palate.